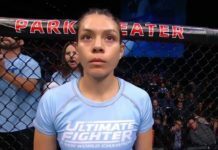 Nicco Montano’s withdrawal from UFC 228 once again brings up the question of how to deal with injuries in key fights, when the show simply must go on. The injury bug. It’s something that has plagued the UFC, and MMA as a whole, for years. Remember 2014? You’re forgiven if you’ve repressed it. That dark period (though it’s a stretch calling a twelve month span just a few years ago a “period”) of MMA saw the injury bug rear its ugly head time and again. The end result? The biggest PPV that year wound up being UFC 175: Weidman vs. Machida, which barely cracked the half-million buy mark. Which puts it outside of the top 40 in terms of UFC buyrates. Ouch. 2014 as a whole was an abysmal time for the UFC. UFC 176 came that year as well, or well, it would have. Only the card was cancelled, just the second time a UFC pay-per-view had been axed, when headliner Jose Aldo was injured. There are plenty more examples out there. We’d rather not relive them. Which brings us to the past, oh, six hours or so. Since news broke that Nicco Montano was forced out of UFC 228, the criticism has come fast and furious. Plenty of internet know-it-alls have claimed she’s running from defending her title. Others have (with some evidence to back it up) blamed her weight cut, and the overall greater issue surrounding the practice in MMA. 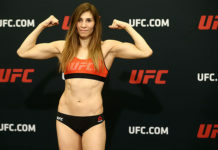 Others still have suggested a replacement fighter take on Valentina Shevchenko, but with just over twenty-four hours to go to the event, that wasn’t an easy option. Of course, as is well known by now, Kamaru Usman was tabbed as a replacement fighter for the main event of UFC 228. You know, just in case Darren Till missed weight, as he did in his last fight. The logic behind granting a title shot to a fighter who blew weight last time out not withstanding, it was a sign the UFC was willing to be proactive. 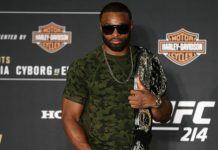 Welterweight champ Tyron Woodley, of course, spoke of declining the fight should Till not make it to fight day (good news, the British fighter made weight!). And it’s somewhat understandable in a sport where you might be training for a southpaw striker and suddenly wind up asked to fight a wrestler. But if it’s unfair to ask a champion to risk their title against an opponent whose style you didn’t prepare for, isn’t it just as unfair to see someone like Valentina Shevchenko put in months of work only for a title shot to vanish the day before the fight? Not to mention the ill-will these situations cause with fans (many of whom, lets say the casual fan base, may not understand the nature of the game). Since you can’t force fighters to fight injured (nor should you), and since weight cutting for now seems like it will stick around, there aren’t many easy options. Create all the interim titles you want, but you’re still asking someone to take on a short notice opponent, and for a paper title more times than not. Back-up fighters are a great option, but should probably be part of the bout agreement, and as close as possible to the originally scheduled opponent’s style. And if it’s the champ that’s hurt, not the challenger, what then? Should you have two back-up opponents? Or just the one, with the condition that either fighter will be required to face them in case their original opponent is injured? Obviously this sort of scenario should be limited to title fights. 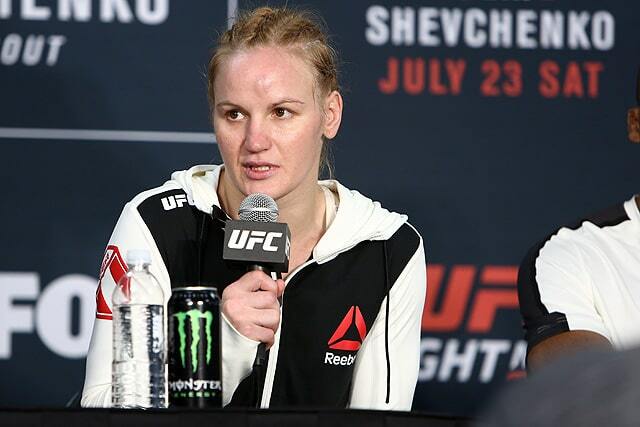 And luckily, Montano vs. Shevchenko won’t make or break UFC 228. It was, however, an interesting fight for a lot of us, and will be dearly missed. There’s another point to consider here, however. Once upon a time you didn’t need two title fights to sell a UFC card. You didn’t even need one. A couple of big names were enough to sell a card. That hasn’t happened, outside of the McGregor vs. Diaz bouts, since Anderson Silva faced Nick Diaz in 2015. And that’s a shame. While the number of legends still around with that kind of pull is dwindling, it feels as if stacking a couple of “old timers” bouts on PPV events might help lessen the blow. Anderson Silva versus just about anyone is a draw. Fighters like Shogun Rua are still game. Those, and reasonably similar “attraction” fighters, seem the best bet. Rather than basing cards around belts, make sure there’s always an old school attraction (read: name value) or two on a Pay-Per-View. Hey, Bellator has based their entire business model of late off of aging legends boosting interest, in the hopes of getting eyeballs on their younger talents and champions. Oh, and keep the use of interim titles at a minimum. Too many Colby Covington situations is not something the MMA world needs.